When I heard that Democratic Senate Leader Chuck Schumer had announced he would introduce a resolution to rename the Richard B. Russell Senate Office Building for John McCain, I figured it was pretty much a done deal. After all, Republicans control the Senate, and John McCain was one of their own. And whatever else he was, Richard Russell was a lifelong Democrat, beginning his career as a staunch New Dealer and refusing to join the two great southern revolts against the Democratic Party of his lifetime, the 1948 “Dixiecrat” uprising under Strom Thurmond, and the massive defection of anti-Civil-Rights Democrats to Barry Goldwater in 1964. Russell also had his name entered into the presidential balloting in two Democratic National Conventions, in 1948 and 1952. McCain, obviously, was the GOP presidential nominee in 2008. 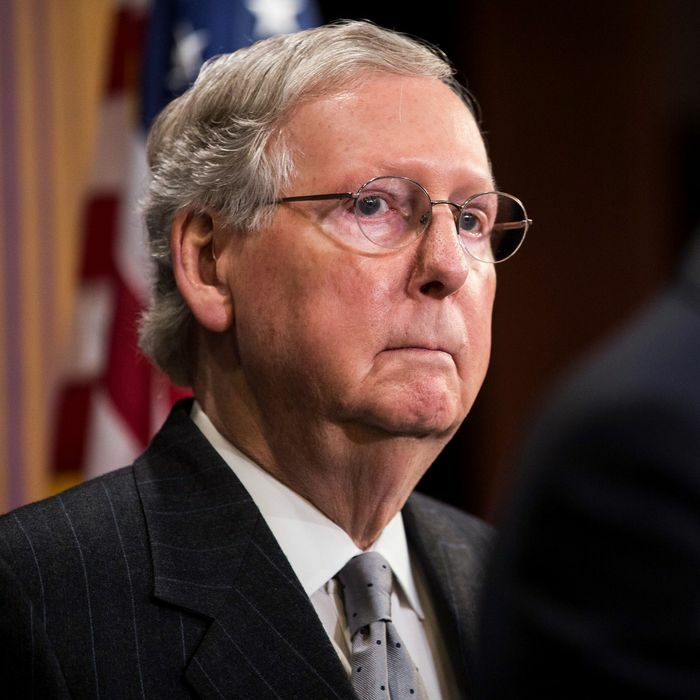 Senate Majority Leader Mitch McConnell (R-Ky.) on Tuesday recommended creating a task force to study ways to commemorate McCain, including the possibility of adding the late senator’s portrait to the Senate Reception room — considered a “hall of fame” for the most distinguished senators who have served…. His caution was matched by fellow Republican senators, who cast doubt on Schumer’s proposal and said they favored commemorating McCain in some way but not necessarily by renaming the Russell Building after him. “This was an icon in the United States Senate. He was Lyndon Johnson’s close adviser. They did the Great Society together. So, people would criticize Richard Russell for maybe being on the wrong side of the integration movement, but my goodness he turned around and got the school lunch program done. He did that himself,” Perdue said, adding that Russell was also a stalwart on the Senate Armed Services Committee. I’m not sure where Perdue got the idea that Russell was a prominent architect of the Great Society, and while he did indeed sponsor the first Free School Lunch program, that was in 1946, before he became the chief Senate strategist for Jim Crow. Sen Bill Cassidy, R-La., said he’d “rather find another way” than rename the Russell building. Chuck Grassley, who is not from the South, seems disinclined to dump Russell, too, as is Jon Cornyn at this point. And in fact, among Senate Republicans only Jeff Flake from McCain’s own state is openly advocating the name change at this point. Perhaps Senate Republicans will eventually decide it’s unseemly to insist on continuing a singular honor for a Democrat who fought civil-rights laws like sin itself. And perhaps they fear the president of the United States would bridle at transferring that honor to a man he has disrespected so often. But if they wind up saving the Richard B. Russell Senate Office Building over Democratic protests, it will be a blow to the bizarre but pervasive conservative argument (associated especially with Dinesh D’Souza and Kevin Williamson) that Republicans have always been and still are the Party of Civil Rights, while Democrats are secretly continuing their pre-1960s racist heritage. It’s not Democrats who are fighting for the Russell Building.